“This is the last time the High Court will decide for us. After the elections, we will decide for the High Court." Elections trickery made the top headlines today. Another leak of the hacking of Kahol-Lavan leader Benny Gantz’s iPhone revealed he said that 1.) he doesn’t rule out sitting under Prime Minister Binyamin Netanyahu until the trial and that 2.) he didn’t trust any of his three fellow party leaders, Yair Lapid, Moshe Yaalon and Gabi Ashkenazi. (Maariv) Gantz called for a probe to see if the Mossad leaked the news of the phone hack, because Netanyahu is ultimately responsible for the Shin Bet, the Mossad, and the National Cyber Directorate, and Netanyahu is using the phone links against Gantz, who warned yesterday that Netanyahu's campaign 'could cause a civil war,’ and that Netanyahu "only works for himself." Yedioth revealed a whole system of 500 fake social media accounts working in the service of Netanyahu and the Likud party, but the Likud denies any connection. In other top news, Brazilian President Jair Bolsonaro came to town, but much to the chagrin of Netanyahu, Brazil announced the opening of a ‘trade office’ in Jerusalem, and not the embassy it promised. Not making much news was the Arab League summit in Tunis, where Palestinian President Mahmoud Abbas said, “We can no longer bear or coexist with status quo,” he blamed US President Donald Trump for emboldening Israel's 'racist policies' and said Israel’s policies and actions “made us lose hope for any peace that can be achieved with it.” Despite rifts between them, the 22 member states of the Arab League - including Washington's regional allies - united against Trump's Israel policy. Egyptian President Abdul-Fattah Al-Sisi said that “Liberation of occupied Arab lands is the only way to end the Arab-Israeli conflict.” Al-Sisi said the Palestinians have a right to establish their independent state with East Jerusalem as its capital, and said that the Israeli occupied Golan Heights must be returned to Syria in order to work towards a comprehensive and just peace. The Egyptian president said that peaceful negotiations based on the Geneva accords are the only way out to end the Arab-Israeli conflict. (Maariv) The Arab League also said it would give aid to the Palestinian Authority after Israel decided to withhold tax money. and it would seek a U.N. Security Council resolution against the U.S. decision to recognize Israeli sovereignty over the Golan Heights and promised to support Palestinians in their bid for statehood. Israel's Concessions to Hamas Are Just the Prelude (Amos Harel, Haaretz+) The government is prepared to go far to achieve quiet in the south until the April 9 election – but not as far as it'll go on after it. In our politics, what sounds strange today is the composition of tomorrow's government (Meir Uziel, Maariv) There are those who think that a Likud-Gantz government is a reasonable possibility, and in such a situation there may be a triangular rotation - one third to Ganz, one third to Lapid and one third to Netanyahu. Netanyahu praised Gantz when he was chief of staff, and now he is generously dishing him dirt (Ben Caspit, Maariv) When it comes to blackening the name of a political rival, Netanyahu is generous. If Gantz is cuckoo, as the Likud people suggest, what will we say about the person who serves as deputy chairman of the crazy cuckoo's nest in Israel? In general, are the Netanyahu family convinced that moving the discussion to Gantz's mental fitness is the right move? Didn’t Gantz's attorney hint to the attorney general, in his efforts to close the Prime Minister’s Residence case (against Sara Netanyahu - OH), that the client is not in a state of mind that makes her legally responsible. It’s Gantz or Smotrich (Uzi Baram, Haaretz+) A large majority of the public supports limited public transportation on Shabbat, favors civil marriage and thinks the Nation-State Law should be amended to give expression to the principle of civic equality. Thus at first glance, there seems to be a contradiction between people’s views and the way they actually vote. This contradiction may indicate that Netanyahu isn’t the weakest link in the right-wing government. So what is this link, and is it possible to use it to undermine the right’s position by Election Day? 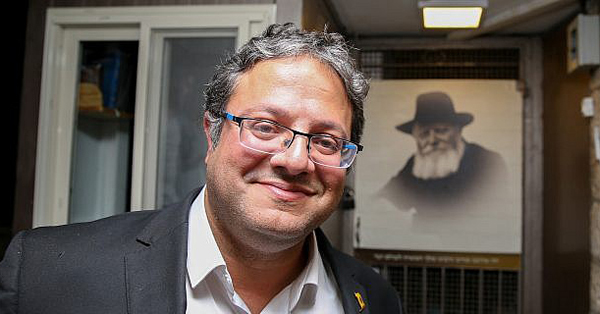 A campaign based on slogans like “Smotrich and Ben-Gvir – is that the Israel you want?” or “When Netanyahu disappears, you’ll be left with a country run by Regev, Litzman, Smotrich and Ben-Gvir” (referring to Culture Minister Miri Regev and ultra-Orthodox politician Yaakov Litzman) wouldn’t be sophisticated. But it would have clear messages. The writing is on the wall: 23 years ago it ended in murder (Arik Henig, Maariv) During all the years of Netanyahu's rule, he did nothing to inspire hope. On the contrary, he is quarreling and debating with derogatory statements towards anyone who does not align himself with his bad way. Israeli Arabs Aren’t Flocking to the Polls (Haaretz Editorial) Campaign slogan adopted by the Hadash-Ta’al joint ticket is wishful thinking, as internal survey commissioned by it shows half of Arab citizens don't plan on voting. Netanyahu is not responsible for everything wrong with Israel (Dahlia Scheindlin, +972mag) It was Labor, not Likud, that conquered the West Bank and enabled the settlement enterprise. Netanyahu looms so large that he has become a symbol of everything that’s right and wrong with Israel. But there’s more to it. With Gaza Calmer, Netanyahu’s Trumpian Tactics Draw Fire (Chemi Shalev, Haaretz+) Nine days to go: Election campaign reignites, undecided voters are wooed and predictions of Netanyahu’s supposedly assured victory are challenged, albeit silently. Israeli Army, Gazans Are Waiting for You (Odeh Bisharat, Haaretz+) I assume that many people, like me, are curious to know what was going through the mind of the man from Gaza who, at 5:20 A.M. last Tuesday, pressed the button that sent the entire region to the brink of the abyss. Did he intend to press the button of his electric kettle, but in a moment of distraction, due to all the day’s worries, he pressed the button to fire a rocket instead? Was it after he left his house without being able to ensure that his children had bread? Was it because he was angry at Hamas, which is suppressing the protests over bread? Or because he was angry at Palestinian President Mahmoud Abbas, who has put the Gaza Strip under financial siege? Or perhaps it was because of the strangulation caused by his neighbors, with their total blockade of sea, land and air?…But observing from a distance, it is clear that for all Israel’s military might, a single match can turn it into a military power on chicken legs. It’s like a rusty nail in the hands of a poor but gutsy child facing a gleaming Cadillac owned by the toughest guy in the neighborhood. The tough guy intimidates the whole neighborhood, but from among the dilapidated houses on the other side of the tracks that uncultured boy steals out, the rusty nail in his hands, and scratches the entire side of the tough guy’s beloved Cadillac. It’s truly painful; it truly is uncultured. The boy genuinely deserves to die and burn in the fires of hell. But reality surpasses even the wildest imagination. After a year of demonstrations along the Gaza-Israel border, which began on Land Day in 2018, the number of Palestinian casualties has reached about 200 dead and thousands of wounded. In Israel, by contrast, we’ve heard of almost no casualties aside from the seven people hurt by the criminal launch of that last missile. And nevertheless, Israelis feel threatened; it’s as if 200 people had been killed on the Israeli side rather than in Gaza. And in fact, this is an ironclad rule: In every battle between the nail and the Cadillac, the nail will have the upper hand, because the nail can be thrown into the trash without anyone shedding a tear over it. Moreover, after the boy has lost everything, he no longer has anything left to lose, and there are a lot of nails on the ground. But the scratch on the Cadillac tears at the master’s heart and drives him crazy. Israel has no way of winning in Gaza (Oded Shalom, Yedioth/Ynet) Invading the Hamas-run enclave would be like fighting in the jungles of Vietnam, and the IDF's technological advantages would vanish in the maze of tunnels. The terror group may ask for a temporary cease-fire, but will never surrender, and Israel - subjected to relentless rocket fire, loss of life and damage to property - will agree to such a truce. It will be a rerun of Operation Protective Edge in 2014 and all the other military operations in Gaza that came before. And that, too, is the truth. Hold off in Gaza, for now (Dr. Hanan Shai, Israel Hayom) To return to the doctrine of decisive victories, the chief of staff must be allowed to restore the IDF to an "effective, lethal and innovative" army. While Palestinians gathered on Israel-Gaza border, Arab world looked away (Zvi Bar'el, Haaretz+) 'Hamas is not part of the Arab nation,' the Saudi press has often claimed. But Hamas is alive, kicking, and holding two million hostages. Forever you will eat sword. It seems that we are indeed destined to learn to live by our sword (Dr. Haim Misgav, Maariv) Gaza is an incurable wound, not by a painful military blow, and not through a withdrawal. An improvement in the economic situation of residents who are not involved in terrorist activity will not change their basic situation. The Marches of Return stem from a very basic ideology, and anyone who thinks that there are ways to deter terror organizations simply spreads false illusions. We must recognize the painful reality, and we must not let the peace messengers deceive us. No political solution will work. Both sides' interests seem to be overcoming emotion (Yoav Limor, Israel Hayom) The fact that Israel and Hamas managed to keep the weekend protests from turning into a catastrophe indicates some long-term thinking and a disinclination for a full-scale conflict, but without a solid policy, Gaza will remain a bone in Israel's throat. In Gaza's Return March, echoes of an Apartheid-era massacre (Samer Badawi, +972mag) The Sharpeville Massacre, in which South African police gunned down 250 black protesters, marked a turning point in the struggle against Apartheid. But it would take another 34 years until democracy finally came to South Africa. A cautionary tale for Palestinians. A Lottery to Pick the Next Israeli Victims of West Bank Annexation Policy (Rogel Alpher, Haaretz+) In the current round of fighting in Gaza, TV stations have adopted an emergency footing of nonstop live broadcasts including endless analysis and commentary. But they don’t tell viewers the simple truth, a truth they obviously prefer not to know: Prime Minister Benjamin Netanyahu has decided to perpetuate Hamas rule in Gaza so he can annex the West Bank. These facts are obvious and have been partly stated by Netanyahu, but such remarks are immediately forgotten. He uses Hamas rule in Gaza to maintain the intra-Palestinian rift between Hamas and Fatah, thereby weakening the Palestinians and preventing discussions with pragmatists among them. This foils any possibility of establishing a Palestinian state, with the strategic goal of annexing the West Bank. Netanyahu now has some extra support for this in the form of Donald Trump’s recognition of the annexation of the Golan Heights. How Jordan Is Weaponizing Archaeology Against Israel (Adam Sacks, Haaretz+) Despite formal peace, you won't find maps naming Israel in Jordan. Visit the kingdom's archaeological sites, and the message is clear: 2000 years ago, Jews were already 'oppressors' in the Middle East. Russia grabs the reins on Mideast peace (Micky Aharonson, Israel Hayom) Moscow is assuming a leadership role as the only mediator able to communicate with all Palestinian factions, including Hamas. 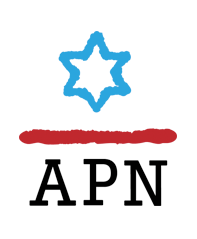 In this situation, Israel must be wary of being painted as the rejectionist side. Israel’s Steady Productivity Retreat Since the 1970s (Dan Ben-David, Haaretz+) Much of the population is receiving neither the tools nor conditions to work in a globally competitive economy. Ilhan Omar can declare victory (Ari Blaff, Israel Hayom) Now deemed too successful, too white and too powerful, Jews are not part and parcel of the "diversity" progressives have in mind. Jews, or more aptly, those who support Israel, are not welcome. A German affair, not just a love story in Palestine (Amira Hass, Haaretz+) Why does Israel discriminate against foreign citizens who marry Palestinian residents of the West Bank?